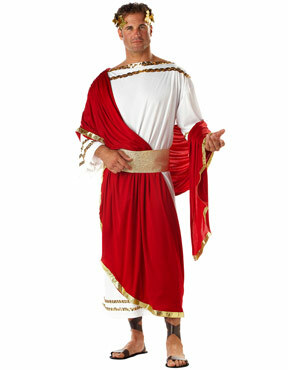 Our Adult Caesar Costume includes this long white robe which has a red shoulder drape and gold trim. To accessorise is the matching belt and a gold leaf headpiece. 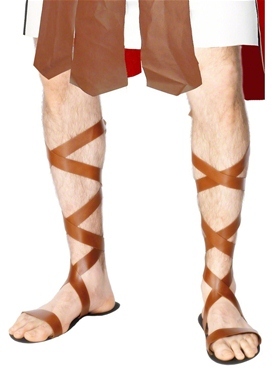 One Size 40" - 44" 38"- 42" 57"
tunic was slightly big, which would have been ok if belt fitted better. 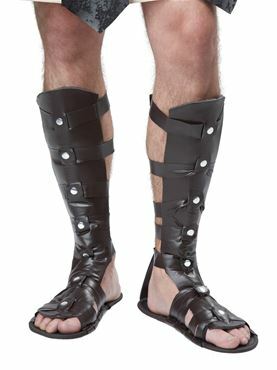 Otherwise very happy with costume, easy to wear, comfortable to wear all evening, good length. Good accessories. ordered at last minute and delivered as stated on web page.